Fish keeper for over fifty years, parents started the journey with the gift of a five-gallon stainless steel slate bottom aquarium with box filter and stainless incandescent hood. Oh, the joys of spun fiber glass filter media and unexpected electrical groundings. Graduated from live bearers to egg layers before ten years of age - first egg-layer bred and raised was the Pearl Gourami. Passion is Calichthydae and Apistogrammas (&amp; Apistogrammoides pucallpaensis). At one time had over fifty species of Corydoras, Brochis and Aspidoras in the fish room with successful breeding of nearly all. Just a few others of note are Rio Nanay Angels (called the Peruvian Altum as a marketing gimmick), Mesonauta festivus, Otos, Ancistrus, Lima Shovlenose and many charicins. Last rebuild of dedicated fishroom downsized tanks to about 60 with centralized filter system and automated water changes. A former laundry room serves as a support hub with water treatment and storage facilities. Summer rain water collection stimulates breeding activities utilizing five 55 gallon drums. Blessed to venture to the Amazon basin to collect most of the fish kept and thoroughly enjoy introducing others to the collecting experience; especially mentoring them while they prepare for their first Amazon expedition. 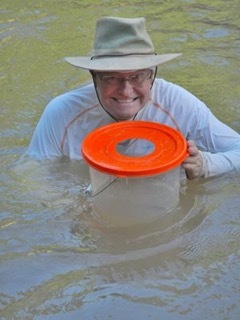 Co-leader, with Devon Graham of MT Amazon Expeditions fish collecting trips. In 2014, with the collaboration of a few friends in the DC area, began facilitating the trans-shipping of fish caught on these trips. In 2015, in partnership with Ian Fuller, they established a new fish collecting venture, GoWildPeru, in Puerto Maldonado, Madre de Dios, Peru. Member of the Potomac Valley Aquarium Society (PVAS), Greater Washington Aquatic Plant Association (GWAPA), the Capital Cichlid Association (CCA), James River Aquarium Society (JRAS) and the Catfish Study Group. Currently serve as Treasurer and Past President of PVAS (2008). Past Co-Chair of the All-Aquarium Catfish Convention. Current talks: The Fish of the Madre de Dios Drainage (Peru); The Perfect Fish Room; Collecting on the Peruvian Amazon; available mid-2016 Annual Killifish Collecting in the Wet Season. He looks a little fishy to me. Michael always has interesting talks. I am looking forward to it and hopefully brings cool stuff for the auction. 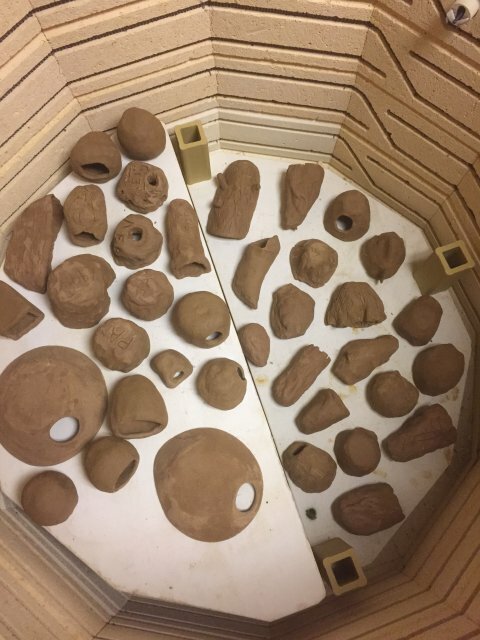 Just a reminder, if you made you very own fish cave I will be bringing it to the meeting Saturday! ........this was taken before firing. I want to see the pile AFTER firing. I am stupid excited to get my cave back. Also, that was a wonderful idea, to let us make our own caves. It was super fun! Ditto! My son can't wait either. Picture doesn't work for me, but looking forward to seeing everyone's final product! The firing is complete!!!! No causalities. The clay turned much browner than I was expecting. If you made something log-like, it looks wonderful! Awesome, Shawn! Thanks again for doing this. Thanks again for the fantastic activity! A lot of cool looking caves in the updated pictures. Meeting is tomorrow, hope everyone who made a cave can come to pick it up, and hopefully we'll get some other people there too.